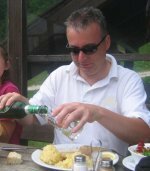 Every page update and new recipe gets published through my Barbecue Blog so this is where you come to keep on top of all the latest developments. Bookmark the page for future reference or click on the RSS box at the bottom of the left hand navigation buttons and you can get all the updates direct to your Google / Yahoo (or other) homepage. 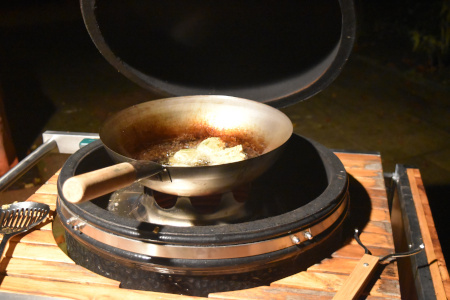 My cauliflower pakora florets are really easy to make and I cooked outdoors in the wok of my Monolith kamado. The pomegranate raita dip adds to the presentation of this subtly spiced appetiser. Continue reading "Cauliflower Pakora Florets With Pomegranate Raita Dip Using Kamado Wok"
My plancha grilled mini lamb koftas with yoghurt raita dip absolutely hit the spot when I cooked them recently at BBQ demonstration that I was asked to help at. But is it kofta or kofte? Is a kofta the same thing as a kofte or is there a difference? Continue reading "Plancha Grilled Mini Lamb Koftas With Yoghurt Raita Dip"
Continue reading "Kamado Baked Camembert With Cranberry Sauce: Xmas On The BBQ Grill"
The idea for this smoked pumpkin soup recipe came to me when I was planning a Halloween barbecue and the feedback from my friends was 10 out of 10! Continue reading "Smoked Pumpkin Soup - A Great Halloween Barbecue Recipe"
Which Cold Smoke Generator Is Best & How To Use It? Continue reading "Which Cold Smoke Generator Is Best & How To Use It?" Continue reading "European Outdoor Chef Ambri 480 Gas Grill Review 2018"
Continue reading "Lack Of Colour In My Smoked Cheese & Oily Smoked Salmon"
My easy Keralan lentil dal recipe is as genuine authentic as it gets. 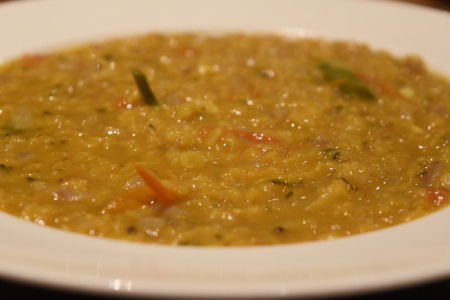 I stayed on an organic farm about an hour inland from Cochin and the resident chef was good enough to share this receipe with me. 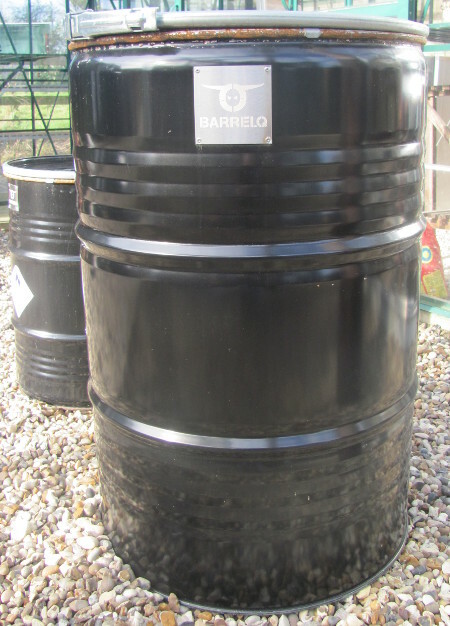 Continue reading "Easy Keralan Lentil Dal Recipe Cooked In The Dutch Oven"
What is it about the Barrel Q oil drum charcoal barbecue that make people buy them? We uncover the secrets of this fire pit and ask the question "is it worth the money"? 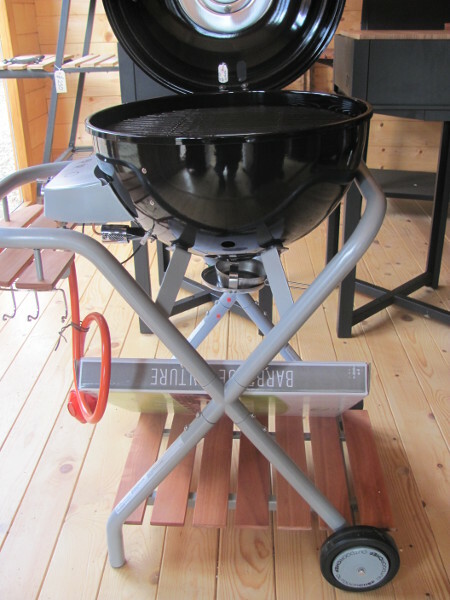 Continue reading "Barrel Q Oil Drum Charcoal Barbecue And Firepit Review 2018"
My kamado cauliflower couscous with roasted vegetables is a must if you love cooking on your ceramic grill, are vegetarian or vegan. Heat deflector stones in for indirect cooking, get your temperature up to 180°C (350°F) and all you need is a couple of roasting trays. 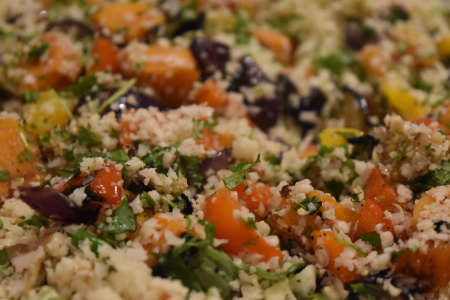 Continue reading "Kamado Cauliflower Couscous With Roasted Vegetables"
My New Orleans sausage recipe is based on a classic Cajun smoked andouille. Hot spicy and well seasoned this pork based sausage is hot smoked and can either be eaten straight or used to enhance the flavour of your bean stew. 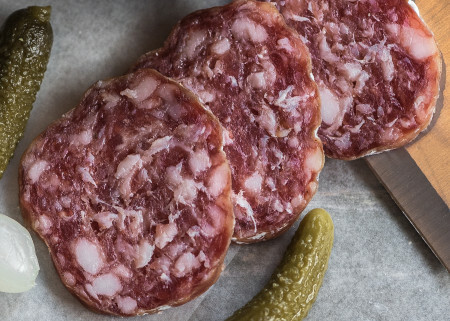 Continue reading "New Orleans Sausage Recipe: Classic Cajun Smoked Andouille"
My homemade Summer sausage recipe uses a safe curing, smoking and cooking process. When Summer sausage is made naturally the fermentaion produces lactic acid which gives the sausage that tart flavour. Adding Fermento gives a tart flavour without doing the fermentation. Continue reading "Homemade Summer Sausage Recipe"
My Memphis barbecue sauce recipe is the classic all purpose BBQ sauce, sweet with a hint of chilli. What I like about this recipe is the use of onions which when cooked gently add a natural sweetness to the sauce.Most use it on pork but try chicken as well. 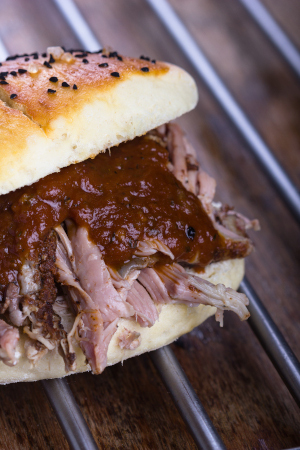 Continue reading "Memphis Barbecue Sauce Recipe - The Classic All Purpose BBQ Sauce"
Three easy honey barbecue sauce recipes for you delectation and pretty much no cooking involved. Honey is one of the most natural ingredients with many anti bacterial properties - at last, something sweet that's good for you! Continue reading "Easy Honey Barbecue Sauce Recipes"
Continue reading "GMG Daniel Boone Electric Wood Pellet Smoker Review 2018"
Continue reading "Easy Barbecue Grilling Recipes For Lamb: How To Butterfly A Leg"
This barbecue beef boneless rib recipe caters for all tastes. 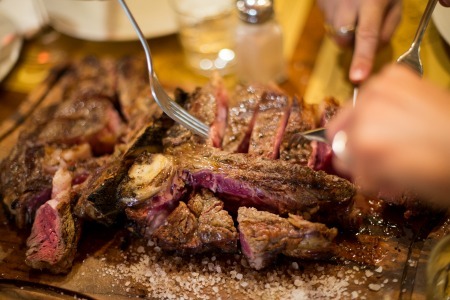 Called Bistecca Alla Fiorentina in Italy you can do rare and well done from the same rib at the same time. Continue reading "Barbecue Beef Boneless Rib Recipe: Bistecca All Fiorentina"
Pulled pork recipes and tips, the easiest way to perfection and the fastest way to competition quality barbecue in the shortest possible time. Continue reading "Pulled Pork Recipes And Tips For Perfect Results Every Time"
My best BBQ grills and smokers 2018 UK review unveils the top 3 best value gas grills, the 3 best value charcoal grills and the 3 best performing wood fired pellet grills to suit every budget. All grills have been put through their paces and a full test report provided. Continue reading "Best BBQ Grills And Smokers 2018: Top 9 Best Value"
Two variations for a homemade pastrami recipe in terms of the cure ingredients but what is common to all pastrami recipes is that it must be smoked. Continue reading "Homemade Pastrami Recipe"
Continue reading "Smoked Duck Peking Style Recipe"
If you’re into Indian food then this chicken tikka marinade will be right up your street and produce great spicy kebabs. The secret to getting the crisp outside and juicy inside to chicken tikka is to scrape off the excess yoghurt marinade before high temperature cooking. Continue reading "Chicken Tikka Marinade For Spicy Indian Kebabs"
12 delicious barbecue grilled hamburger recipes together with my essential tips for making the perfect burger pattie. Continue reading "Barbecue Grilled Hamburger Recipes & Tips"
The top 6 best bbq ribs recipes with preparation techniques and cooking tips to take you from novice to competition standard in easy steps. 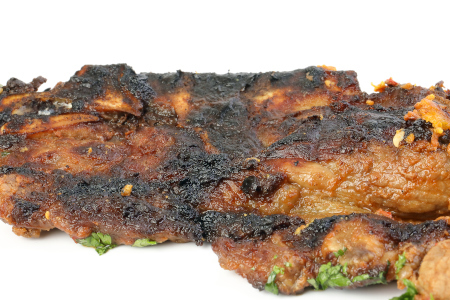 Continue reading "The Best BBQ Ribs Recipes, Preparation & Cooking Tips"
Stainless steel charcoal grills Hand made in the UK and built to commercial standards. Generate extra revenue from your pub beer garden this year. Nationwide delivery. 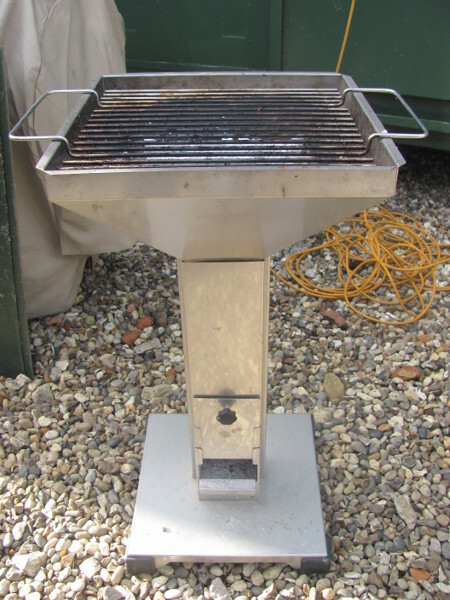 Continue reading "Stainless Steel Charcoal Grills Commercial Grade UK Made"
Continue reading "Thueros T2 Pedestal Grill Review 2018"
Grillson pellet smokers and grills take outdoor electric barbecue cooking to a different level in design, quality construction and cooking technology. 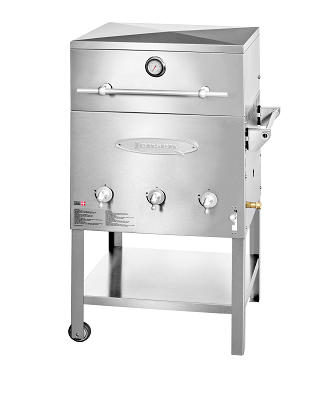 The only wood pellet grills that deliver the high temperatures needed to truly sear a steak and bake a pizza. 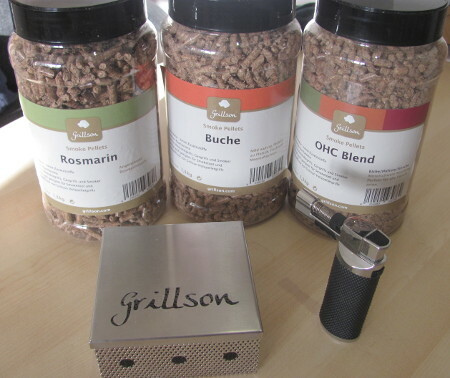 Continue reading "Grillson Pellet Smokers & Grills Review 2019"
Rub on this very simple spice mix and immediately you’ve got Chinese BBQ chicken wings to die for. Note that the flavour is all in the skin so you've gotta eat it! Continue reading "Chinese BBQ Chicken Wings And Crispy Skin"
This Camembert grilled cheese recipe is the perfect cookout finale. I like to serve it with garlic bread. 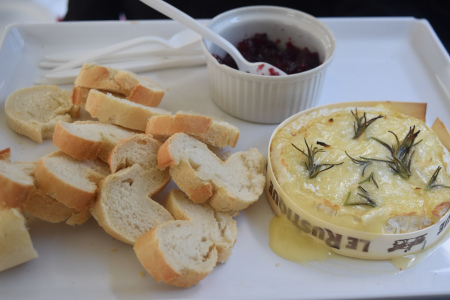 Continue reading "Camembert Grilled Cheese Recipe With Garlic Bread"
A healthy Greek salad is easy to prepare and ideal for any BBQ cookout. It’s the addition of Feta cheese that makes it different. Continue reading "Easy And Healthy Greek Salad With Feta Cheese"
My ginger and lime BBQ marinade recipe is perfect for chicken, monkfish or prawns. It’s easy to do and full of flavour. Continue reading "Easy Ginger & Lime BBQ Marinade Recipe"
Continue reading "Cuisine A La Plancha Hotplate: Recipes For The Cast Iron Griddle"
Continue reading "Miso Marinated Mushrooms - Easy BBQ Canapé"
My 55 gallon barrel smoker plans include design concept photos and full method statement and a bill of materials. 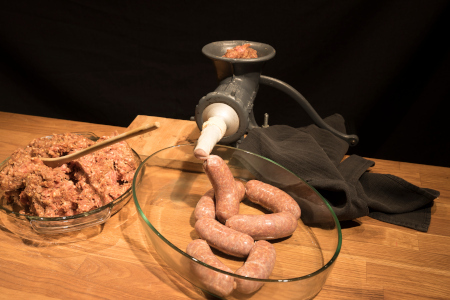 Continue reading "Free Barrel Smoker Plans"
This first homemade bratwurst sausage recipe (also known as Wisconsin Sausage) is best grilled gently, the second recipe contains curing powder and can therefore be smoked. Continue reading "Homemade Bratwurst Sausage Recipe AKA Wisconsin Sausage"
The subtle aniseed flavour in my fennel grilled chicken wings adds a new flavour dimension. Gimme these over Buffalo chicken wings any day. Continue reading "Fennel Grilled Chicken Wings"
Easy to follow homemade BBQ smoker plans to build your own smoker this weekend. Complete with drawings, instructions, pictures and supporting videos. 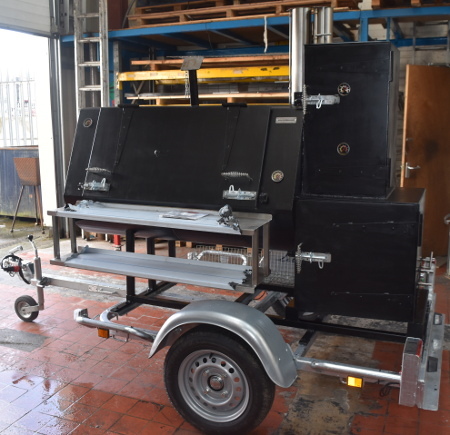 Continue reading "Homemade BBQ Smoker Plans"
American style commercial smokers UK built barbecue trailers, custom made to tow away and your BBQ catering business is up and running. All our trailers are EC type approved and comly with EU law, we also use stainless steel for better hygiene and easy cleaning. 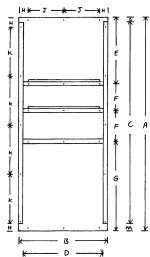 Continue reading "American Style Commercial Smokers UK Built Barbecue Trailers"
Continue reading "Caribbean Barbecue Dry Rubs Recipes: Jerk & Citrus"
Don’t be confused between chicken tikka kabobs and chicken tikka kebabs. It’s two different spellings but one great Indian char-grilled chicken recipe starting with a yoghurt marinade. Continue reading "Char-grilled Chicken Tikka Kabobs Or Kebabs"
This deliciously fresh tasting grilled fish tacos recipe and fresh salsa is quick to cook, easy to eat and will leave everyone wanting more. 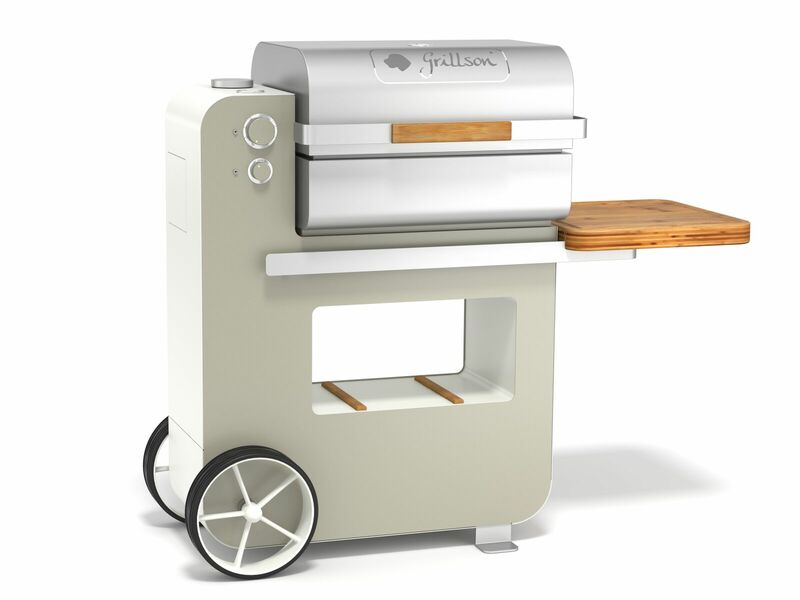 Continue reading "Grilled Fish Tacos Recipe & Fresh Salsa"
Stainless steel cooking grates & replacement BBQ grills UK made. Round or rectangular, a stainless steel replacement barbecue grill grate will not rust and will last a lifetime. Continue reading "Stainless Steel Cooking Grates: Replacement BBQ Grills UK Made"
The best offset American smokers UK manufactured using 6mm solid steel. A fully welded heavy duty reverse flow design built to last and also now available in rust free stainless steel. Continue reading "Best Offset American Smokers UK Manufactured: Stainless Steel"
This Mexican barbeque rub is ideal for spicy chicken wings or fajitas. Made in 5 minutes, shake it on and you're ready to grill, any remaining rub can be stored in an airtight jar for next time..
Continue reading "Mexican Barbeque Rub For Spicy Chicken Wings"
The Ultimate Drum Smoker is not to be confused with its ugly UDS namesake. This takes drum barbecue to a different level. 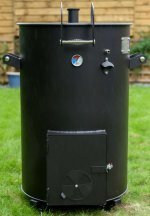 Continue reading "The UDS Ultimate Drum Smoker Is Far Far From Ugly"
Continue reading "Cucumber Raita BBQ Dip & Yoghurt Cooler"
Continue reading "Barbecue Pork Tenderloin Recipe"
The beginners guide to barbecue and smoking is here because we all have to learn. We don't become experts overnight so if you want to start grilling and smoking, start here. 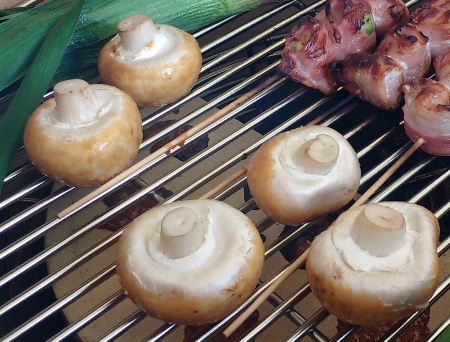 Continue reading "Beginners Guide To Barbecue & Smoking - A Glossary Of Terms"
Continue reading "Barbecue Grilled Bananas Recipe With Melted Chocolate"
It makes no difference to the price you pay but it really helps me continue improving this website. If you like what I'm doing then save this link and use it every time you go to Amazon. For whatever you purchase through this link (it doesn't have to be barbecue) I heartily thank you in advance.